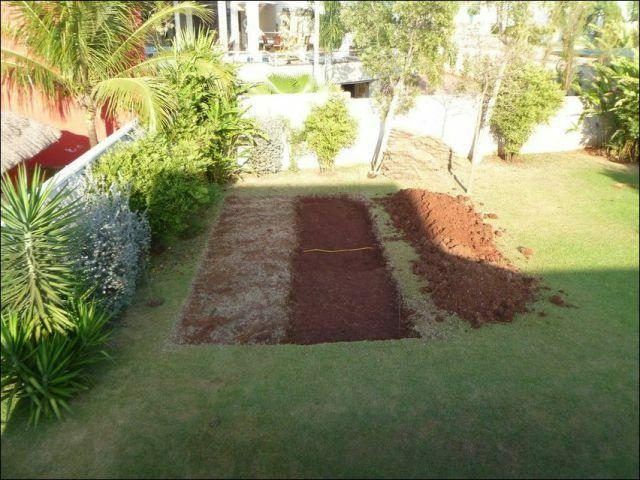 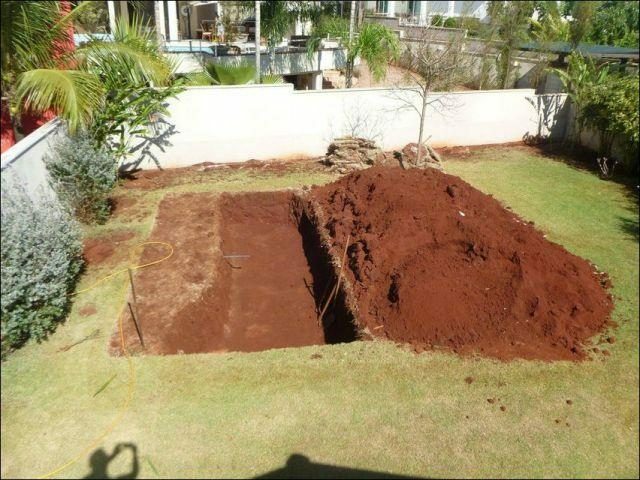 Grade the ground. 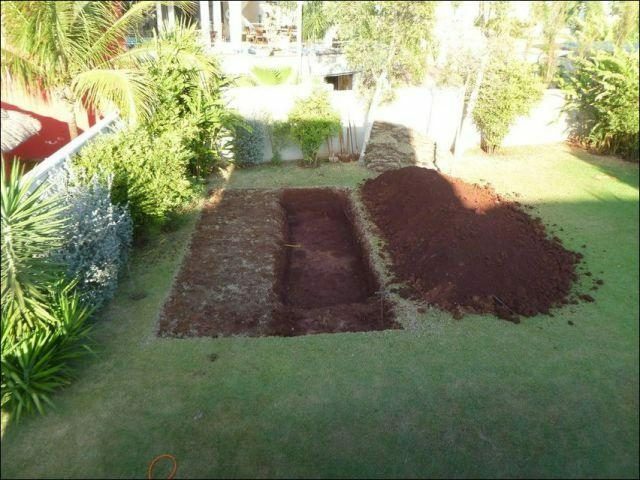 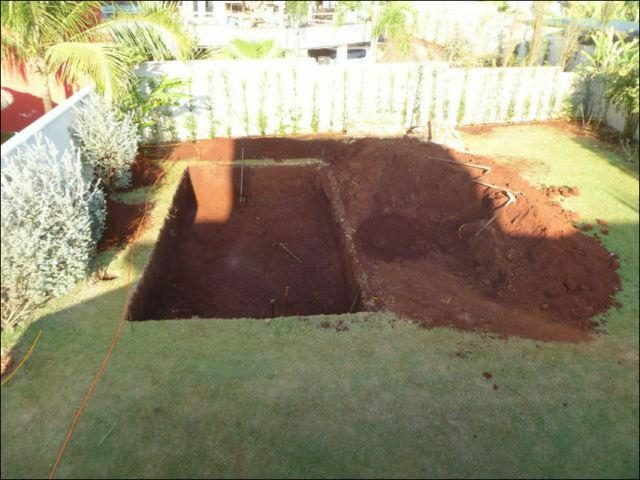 — You’ll want to even out the ground as much as possible along what will become the bottom of the pool. 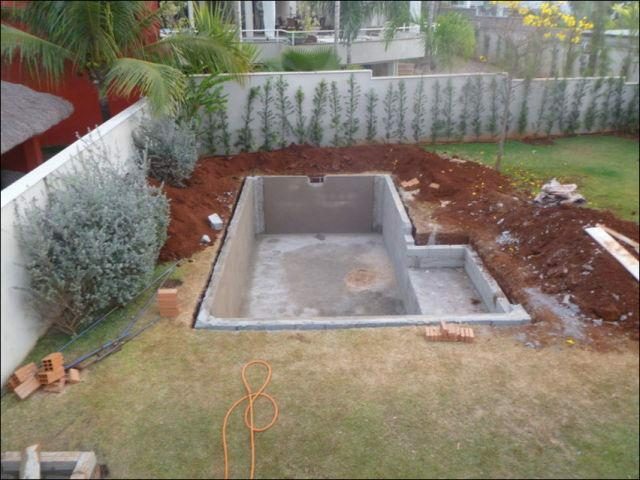 Put in the plumbing. 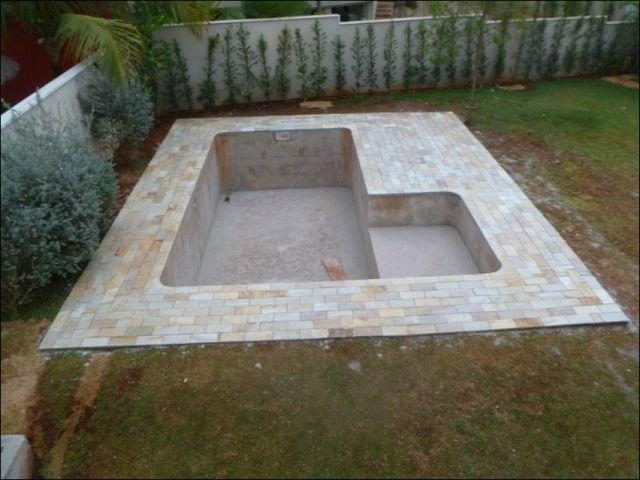 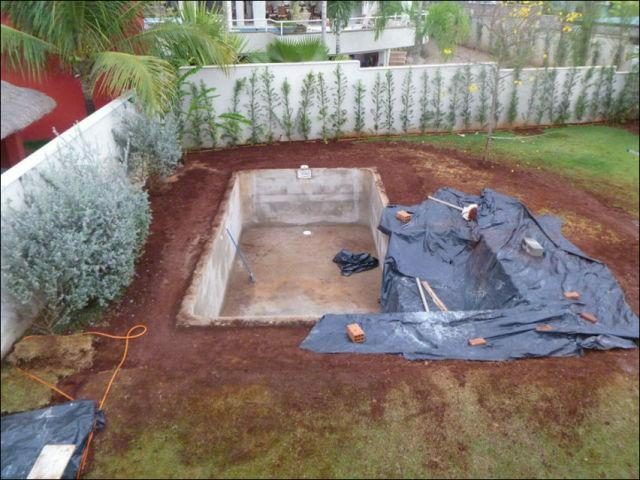 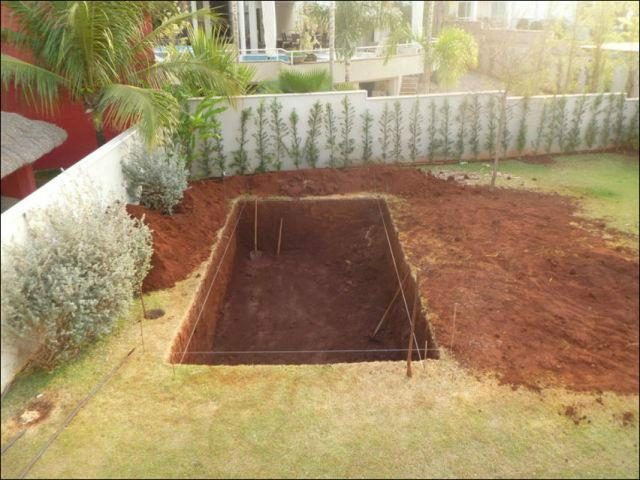 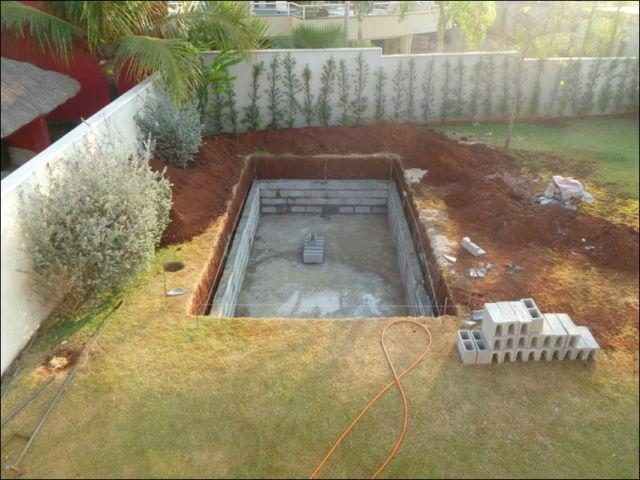 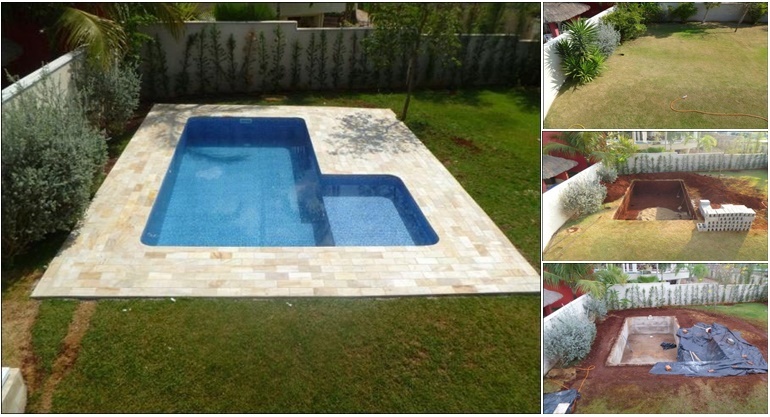 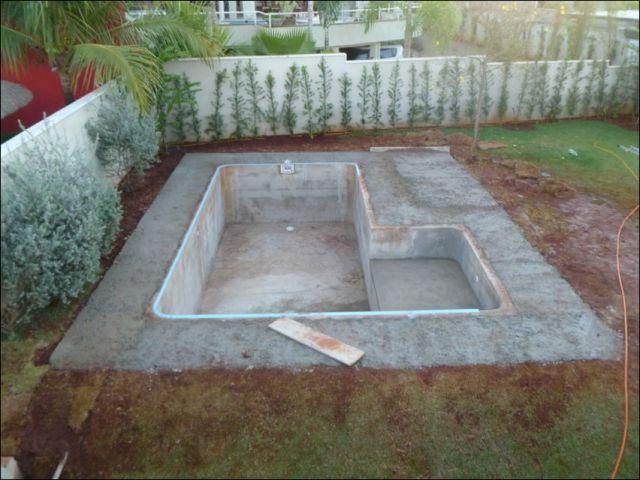 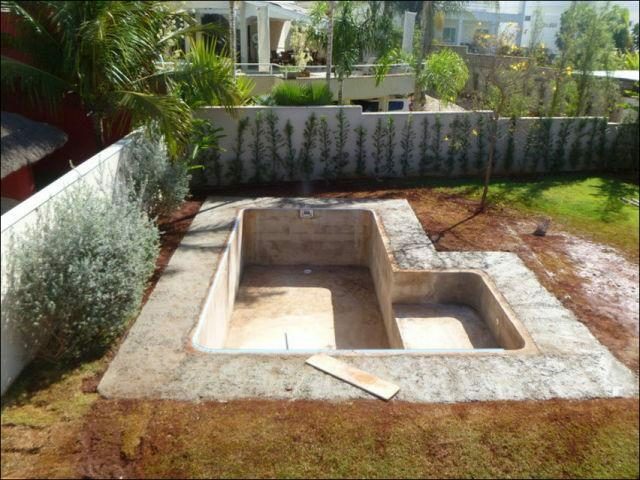 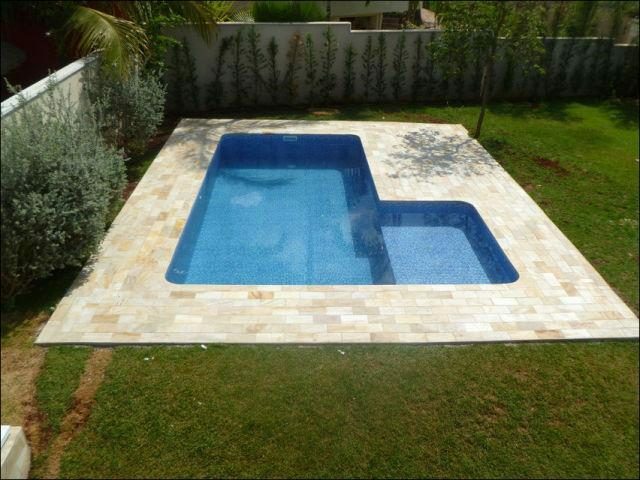 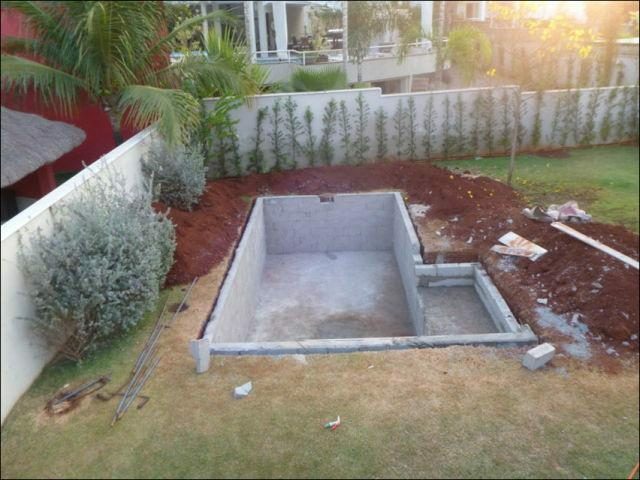 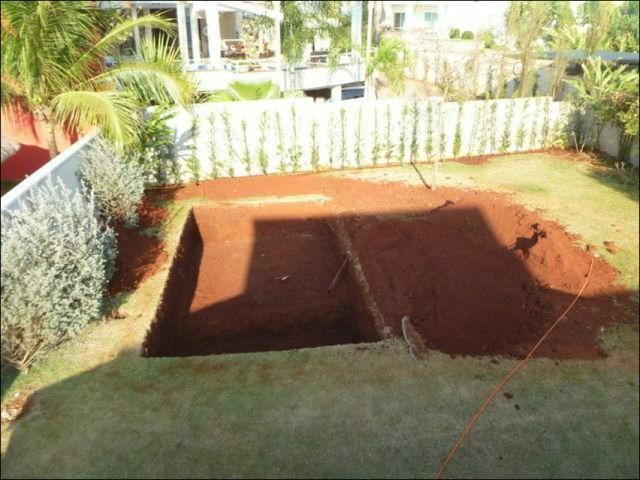 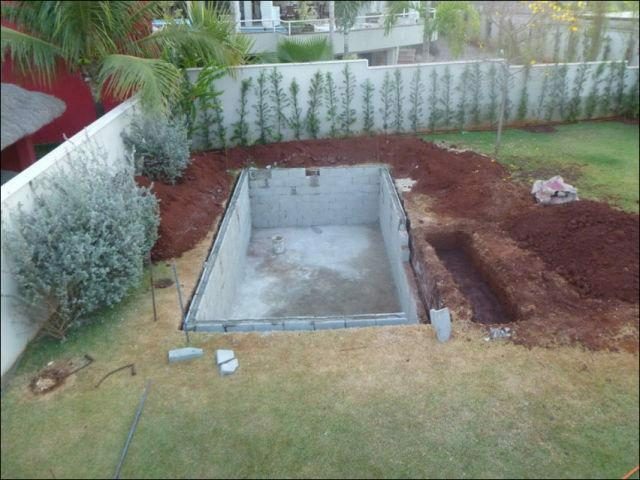 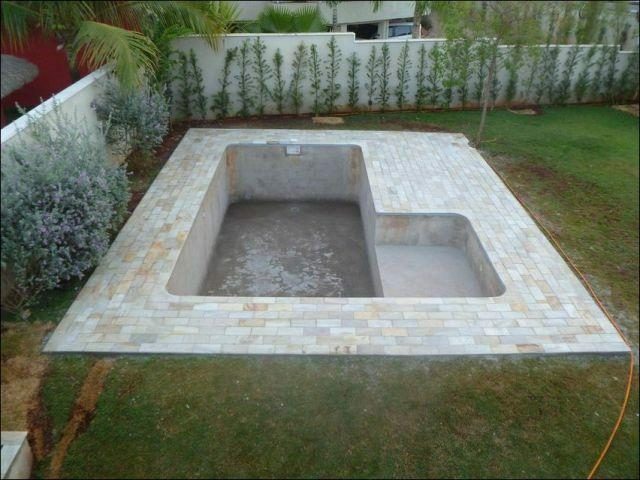 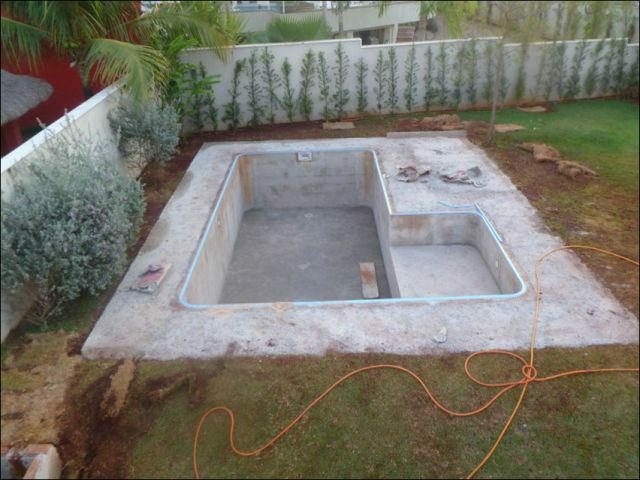 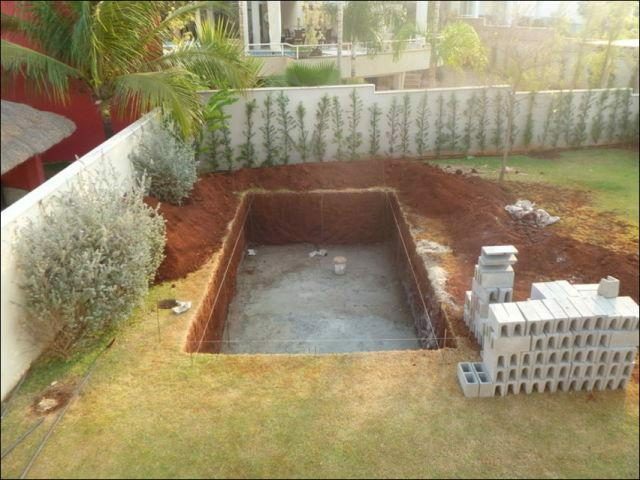 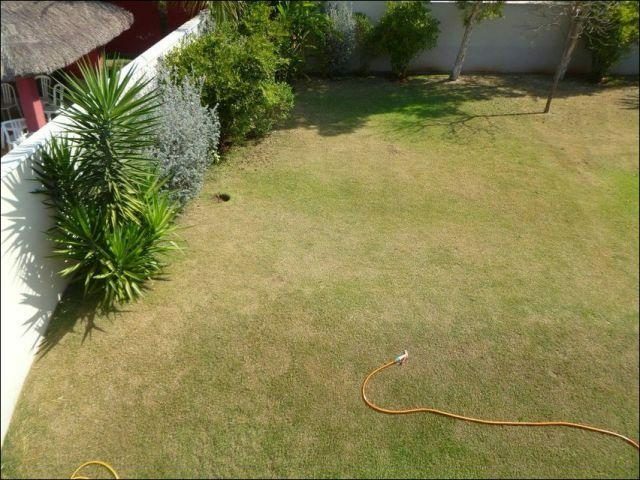 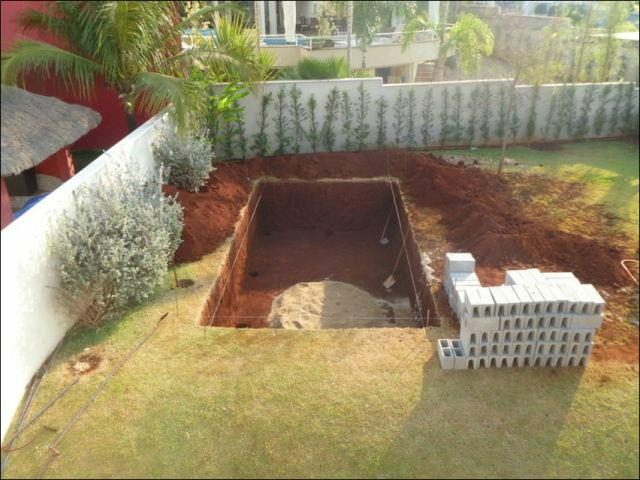 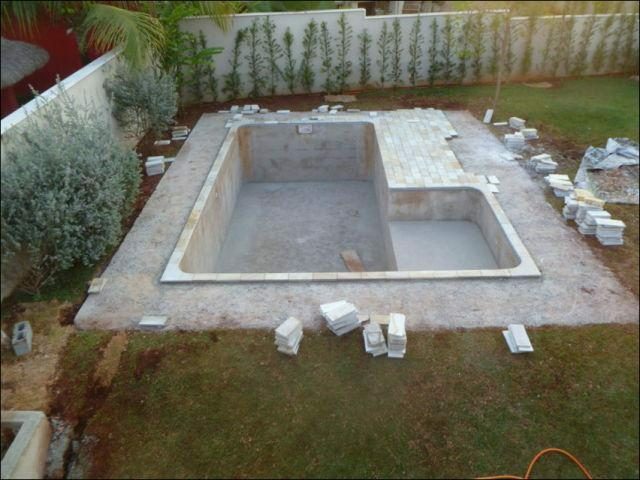 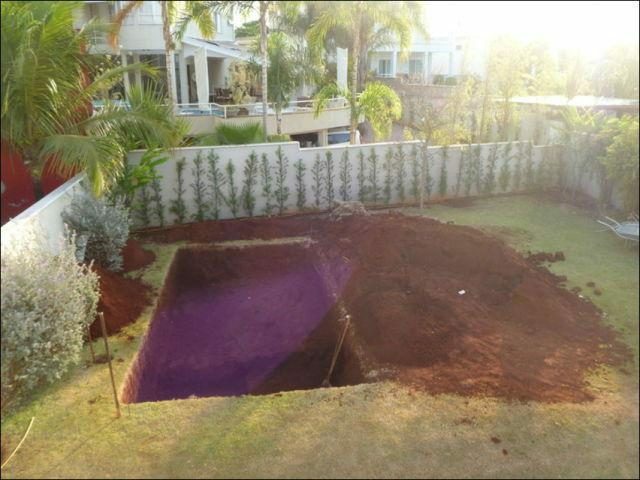 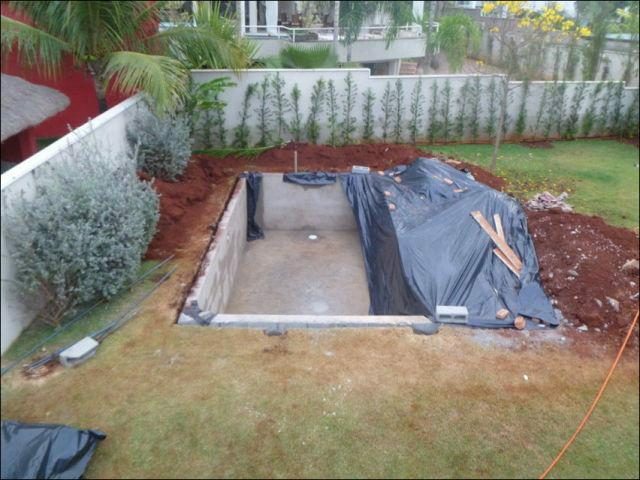 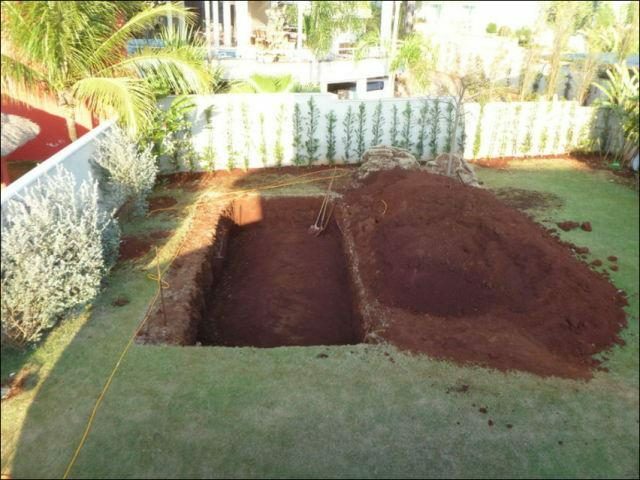 — Add the necessary plumbing for the pool.